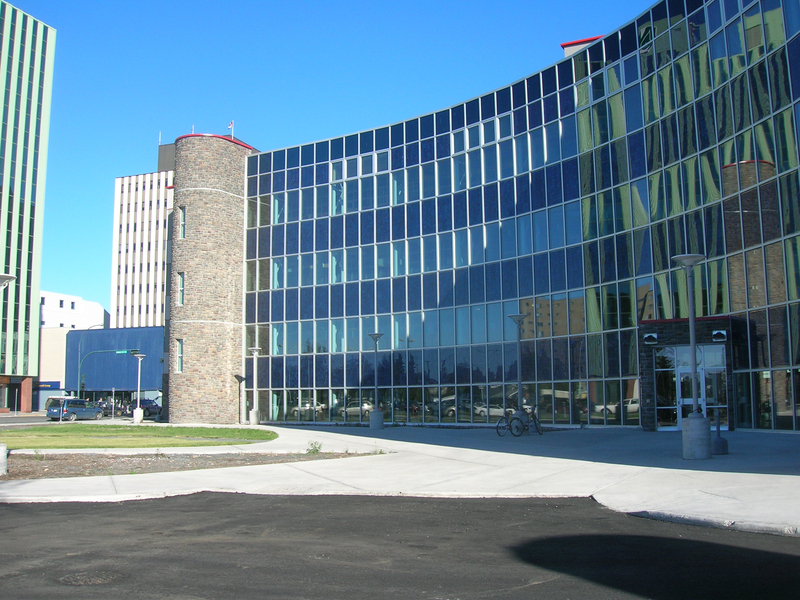 The Greenstone GOCB in Yellowknife has a unique Building-Integrated Photo-Voltaic (BIPV) system which is the first installation within a pre-glazed advanced curtainwall system, especially in the extreme climate of the Canadian North. Photo-Voltaic elements are sandwiched between two layers of glass in the exterior element of a high-performance 4-part curtainwall system. 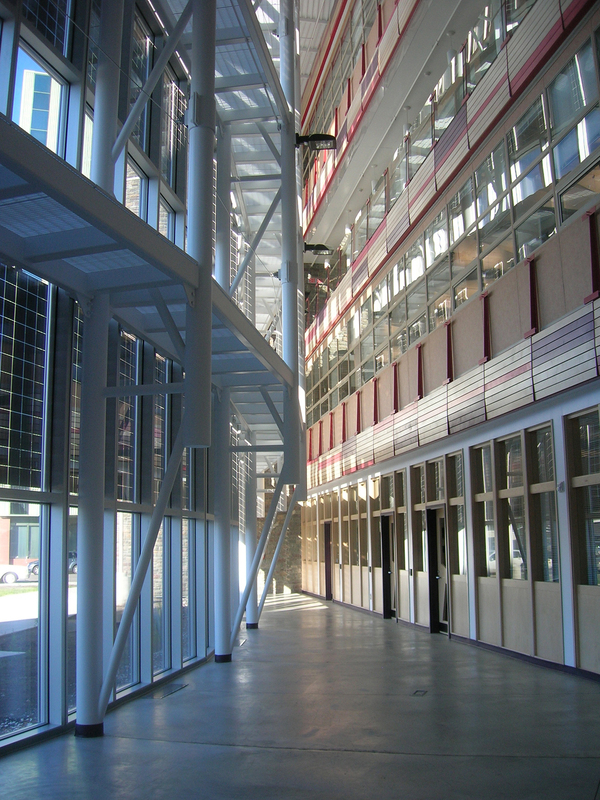 Designed for a cold climate application, it is, at 35 KW, the largest curtainwall-integrated BIPV system in Canada. It has performed very well in its first year of operation. The BIPV component was designed to replace the need for external shading and to generate electricity in the glazing of the south facing atrium. The resulting “city room" is warm, sunny and pleasant year-round. This successful innovation was made possible by the strategic alignment among PWGSC, NRCan, Visionwall, PCL, Manasc Isaac Architects, and Keen Engineering. The Greenstone Government Building was chosen by the Jury for the award for significant technical innovations and as an important testing and demonstration project. 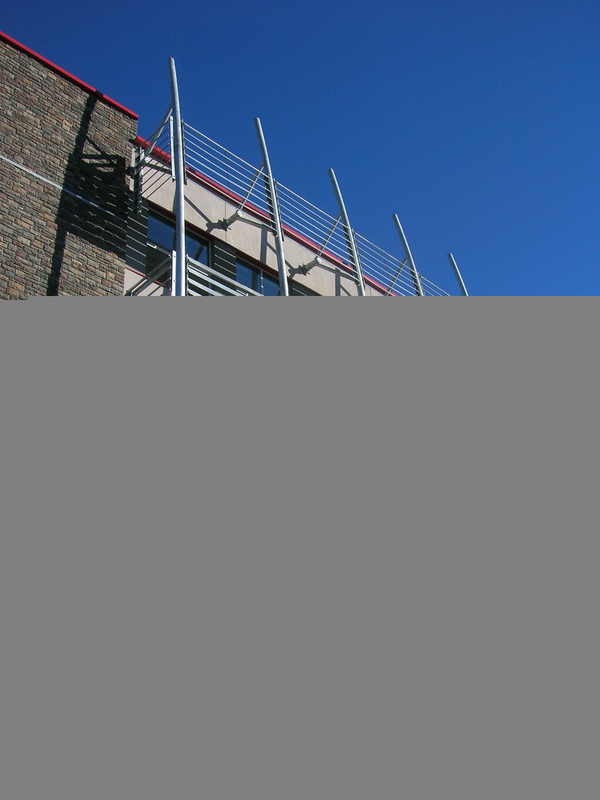 One of the projects technical features is the integration of photovoltaic cells into the exterior curtain wall system. This is notable, especially, given the northern location. Ingenuity was evident in the ability to make the budget work and retain the degree of innovation of the design. 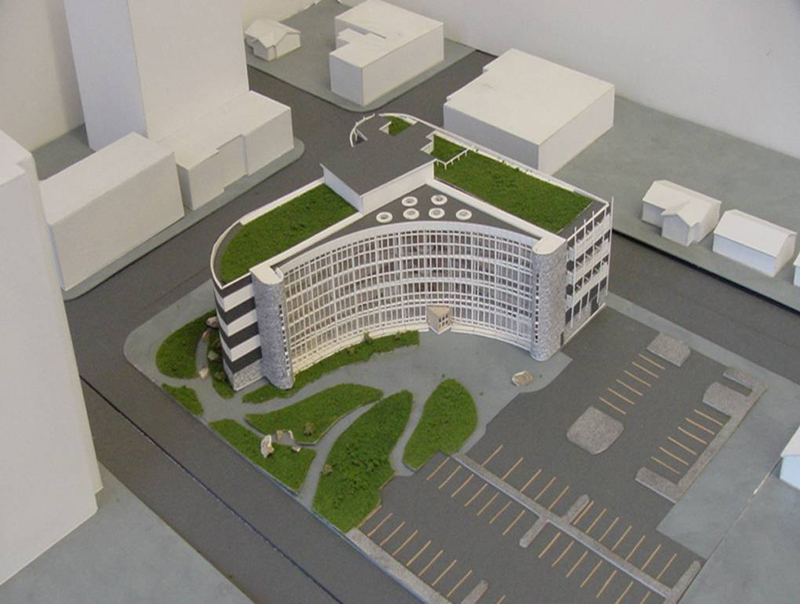 The submission provided a clearly documented process from the development and testing of this integrated system through to post-occupancy monitoring and “lessons learned”. The jury wants to commend the client (Public Works and Government Services Canada) for their exemplary support for the design solutions developed by the design team. They observed that it was admirable that the designers and clients were willing to take risks in innovations in a challenging project. It was recognized that the success of the projects required a number of parties to work together very effectively. 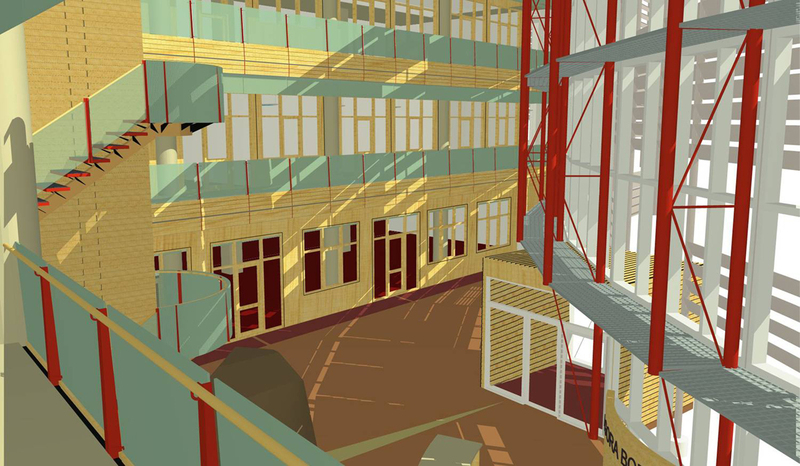 The project will provide an effective learning resource in the exploration of sustainable building technologies and have significant value in guiding design decisions on future projects.